Where is my beautiful wife?! Waking up on a strange couch. Oh my gosh! It's Jimbo on your couch! loving his stretch. he's a freaking cat. I adore the Talking Heads. I swear, this comic has fantastic references, but it's just icing on the cake. Love it. <3333 THANK YOU SO VERY MUCH. made my day. just that reference. XD. This is not his beautiful house! This is not his beautiful wife!! My God! What! Have! You! Done!! 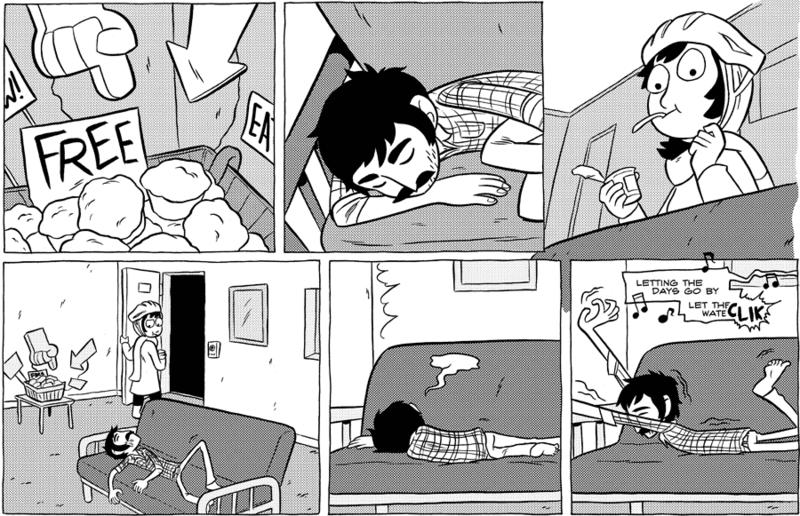 The first page is what is easily my favorite story in webcomics.